You are here: Home / HSA News / Staff Appreciation Luncheon 2018 – Volunteers Needed! 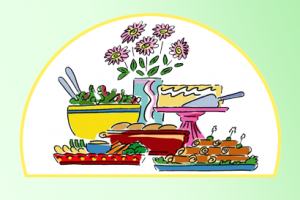 Staff Appreciation Luncheon 2018 – Volunteers Needed! It’s that time of year to show our Harbordale teachers and staff how much we appreciate them. Thursday, May 3rd is going to be the HSA Staff Appreciation Luncheon. We are looking for chefs, bakers and all those in between to show off their culinary skills. If cooking/baking isn’t for you, we could use some help in setting up, serving and clean up the day of the event. Please view the sign-up sheet for volunteer tasks and items needed. We need everything from helping hands during the luncheon to food items donated including main dishes, appetizers, desserts, and more. Please help us show our teachers and staff how much they are appreciated!